Anna Damyanova has been working in the field of culture since 1986. She started out on her career as a methodologist with the Municipal Centre for Amateur Art Activities in the town of Pernink. She has taken part in and adjudicated at a number of festivals at home and abroad. 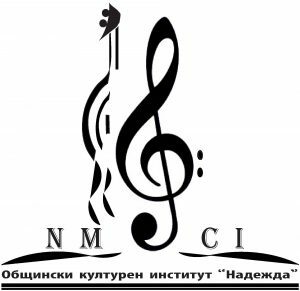 An organizer of and lecturer at educational concerts held by the MusicDepartment of the Municipality in Pernik, in 1998 she was offered a position in the Collegium Canticum Mixed Chamber Choir with the Municipal Palace of Culture there. Damyanova’s work experience includes theoretical subjects teaching, school choir conducting, giving seminars, public lessons and concerts. She was also the accompanist and conductor of the Stomana Mixed Choir in Pernik. From 2008 to 2013 she taught musical and theoretical subjects in the Tvarditsa branch of the Stefan Neaga Musical College in Kishinev, the Republic of Moldova. Her mission there was preserving the Bulgarian traditions, way of life, culture and national self-consciousness of the Bulgarian diaspora. Damyanova prepared the college girls and boys for participation in competitions and instructed those willing to study Bulgarian History at higher educational establishments. She also engaged herself in drawing up projects and organizational activities. Anna Damyanova is a Third Prize winner of the 1996 International Choir Competition in Preveza, Greece. Anna Damyanova finished the Panayot Pipkov Secondary School of Music in Plovdiv, in piano and choir conducting. She has a Master’s Degree in Musicology from the Pancho Vladiguerov National Academy of Music, Department of Musical Folklore. 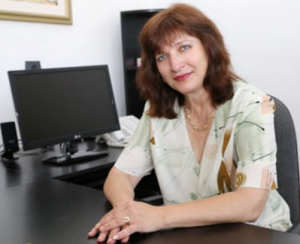 Anna Damyanova has been Director of the Nadezhda MIC since 2013.